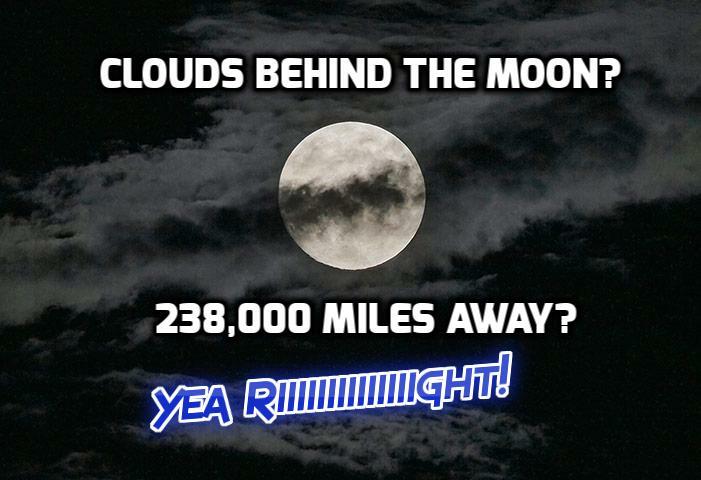 Even if we can see, and easily prove that the Sun and Moon are not millions and hundreds of thousands of miles away, is it reality that the clouds can be behind the Sun and Moon when 3,000 miles away? 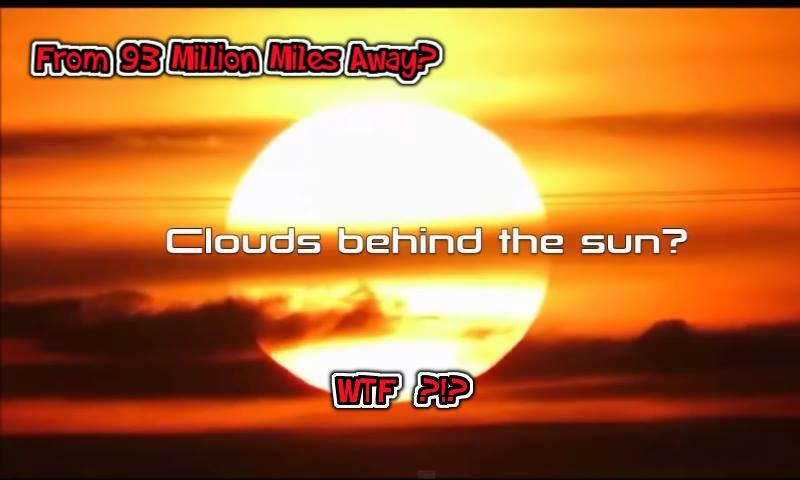 Can anyone see clouds over 3,000 miles away while standing on Earth? 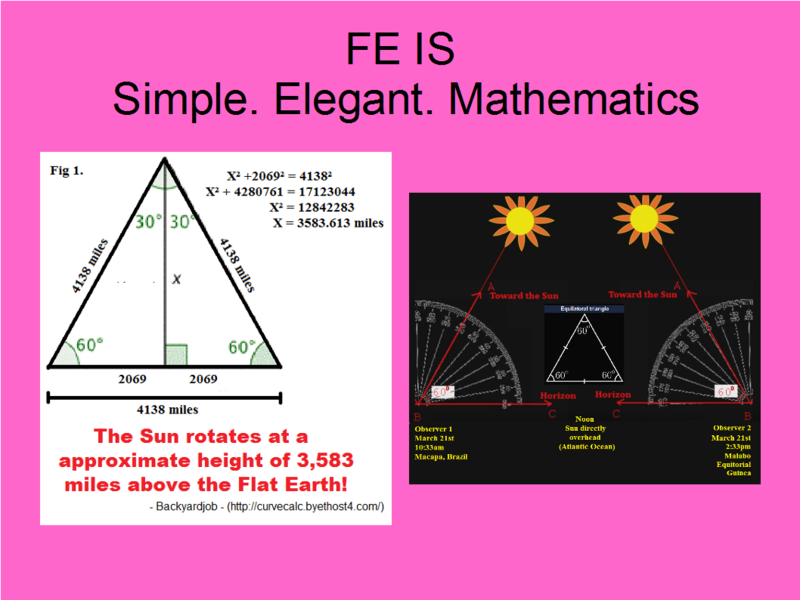 Could the Sun and Moon be actually closer than what FE math tells us? It could be that the Sun appears as a manifestation of our collective consciousness. We see our own individual version of the Sun. Of course it will look similar if not exactly the same as everyone else’s by our collective agreement to be here and experience this Earthly construct. If viewing the sun from the ground at an angle of 45 degrees, for example; the clouds would be many hundreds, or a thousand miles or two above the height of the sun. Do clouds ever reach such heights above the proclaimed 3,550 miles – where there is no atmosphere to support clouds? It’s a no brainer! What we are seeing is illusionary due to the brightness of the sun. Peter, I cannot disagree with you. The Sun, moon and luminaries are pure energy beings as far as my research has lead me, so this would be in line with what you are postulating. Many thanks JWL. I apreciate the research you are doing,but I think a little more clarity is required. At present I feel sure that the Helio-centrics would latch onto alternative misleading interpretations, considering the theoretical vulnerability of clouds behind and above the sun. Yea, I’m not concerned with globeheads in the sand. This is for those with open minds to investigate and learn. I feel it is a strong sign of strength to admit we don’t know certain things and can only postulate and theorize, so showing vulnerability becomes an asset in that we never say we know everything…like never proven gravity! I was taught, “in the questions lie the answer” so I always question everything where nothing is true and every thing is possible. Plus, geocentrics are reconnecting to our most ancient theocosmoligical ancestory, who built pyramids and monuments that we are clueless today as to how they did it and why. Onward, to enlighten the remaining 7+ billion who are mind controlled!